Sam Tsui and a FREE MP3! So, I was disappointed when I went to download Guy Sebastian’s latest album only to find that iTunes has his videos but not his songs. Awesome. Although I did find one of his older albums called “The Memphis Album” that is just covers of old Memphis tunes– it’s on my wish list right now. After being disappointed, I was happy to find an awesome FREE MP3 from the artist Sam Tsui. He is a youtube sensation that I found when he made the web series, “College Musical”. Yep, it’s a parody of “High School Musical.” Awesome! Well, a friend of mine posted a link to Sam Tsui’s latest mash up, “Love The Way You Lie.” His vocals and mash up talent are incredible. Download this song for FREE HERE! During the day today I felt ambitious to run a 12K after work. But I got held up in the office because I got a new berry! (not a fruit– the phone.) 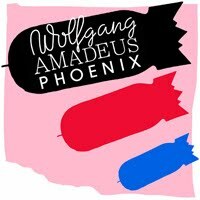 So, I decided on an easy 30 minute run at a 1% incline while I ran to the album “Wolfgang Amadeus Phoenix” by “Phoenix.” Great choice! Followed by a delicious butternut squash soup that I made on my rest day yesterday– mmmmmm, delish! PS The Best Health Blog Awards 2011 are still accepting nominations! Wanna put in a good word for me?! Pretty please? You can do it in under 2 minutes HERE! This entry was posted in Cool down/Stretching, Guy Sebastian, http://schemas.google.com/blogger/2008/kind#post, Phoenix, Sam Tsui, Stats of the Run by Siobhan McCarthy. Bookmark the permalink. Aaargh! It hurts me to hear The Memphis Album called 'just covers' (even though they are, except for one). They contain some of the best Guy vocals ever, plus musically/instrumentally they are brilliant – featuring some of the musicians from the original recordings. Sandy. That's awesome that some of the original artists are on the album! I will have to download it and give it a good listen during one of my long runs! 30 second clips on iTunes never tell enough about a song! i love phoenix!! good choice!